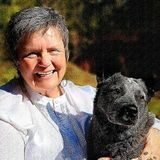 House sitter available for pet feeding, yard maintenance and more!House sitter available for pet feeding, yard maintenance and more!House sitter available for pet feeding, yard maintenance and more!House sitter available for pet feeding, yard maintenance and more! 21 year old house sitter available in and around the Comox Valley!21 year old house sitter available in and around the Comox Valley!21 year old house sitter available in and around the Comox Valley!21 year old house sitter available in and around the Comox Valley! 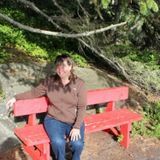 HouseSitter.com is an online house sitting service that connects homeowners with a community of reliable individuals offering short and long term house sitting and pet sitting services in Courtenay, British Columbia. Finding reliable & trusted house sitters in Courtenay, British Columbia can be hard but our simple to use website makes it so much easier! If you’re going on a long-term vacation or taking an extended business trip get yourself a professional house sitter and set your mind at ease knowing your home and pets will be taken care of while you’re gone.